Torben Sondergaard is the founder of The Last Reformation. He was born and raised in Denmark into a good family. He and his two brothers were raised in the Lutheran tradition. He was baptized as a baby and confirmed at the age of 14. He thought he was a Christian, because in his mind, and in the minds of many, to be a Christian was to be baptized, confirmed, and be a good person. But although he was a ‘good Christian’, he had never met God. He had no experience of God until his good friend and neighbor Tommy told him he had just met God and experienced Jesus! That friend told him more about God and a short time later Torben got born again and experienced God too for himself. 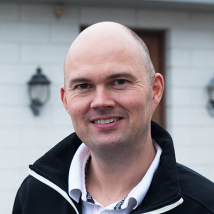 Torben and his family worked with church planting after that for twelve years in three different cities in Denmark. God took them through a desert period, where they lost everything. Out there in the desert they started to ask questions about church and why it is so much different today from what we read in the Book of Acts. Out there in the desert, he saw the church from outside. They saw that what was going on in most churches, was not biblical and was not effective in making disciples. Through that desert period God revealed a lot to Torben. In that time he wrote the book ‘The Last Reformation’ and the first 20 lessons of the Pioneer School which have gone ‘viral’. Many believers love the teachings because it confirms something they already knew in their heart.